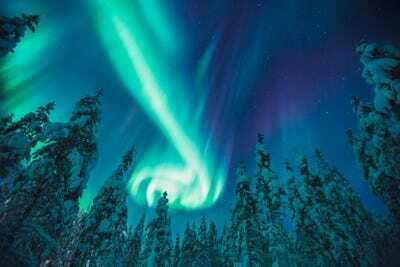 Valtteri HirvonenSee the Northern Lights from bed. 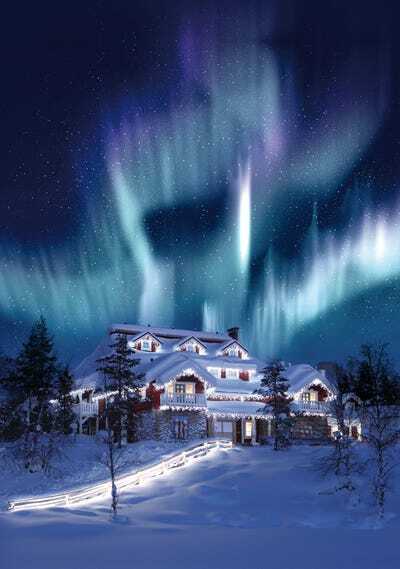 What could be better than seeing the Northern Lights? 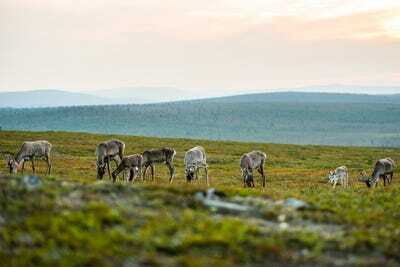 And at the Kakslauttanen Arctic Resort, a hotel in Finnish Lapand, you can do just that. 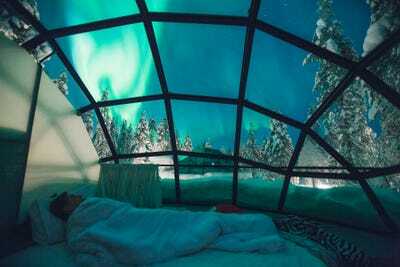 Just north of the Arctic Circle, the hotel offers incredible glass igloos to sleep in, allowing for unobstructed views of the Aurora Borealis. 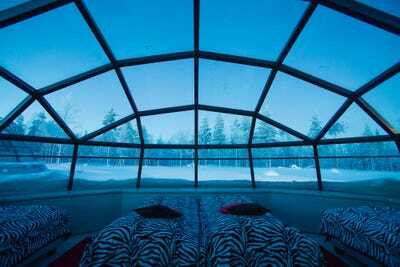 The resort has four types of accommodation: queen suites, log cabins, a traditional house, and the famous glass igloos. 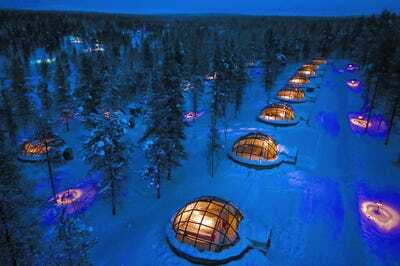 While temperatures around these parts can get as low as -40F, the igloos are made from a special thermal glass that keeps the inside toasty, and the glass from frosting over. 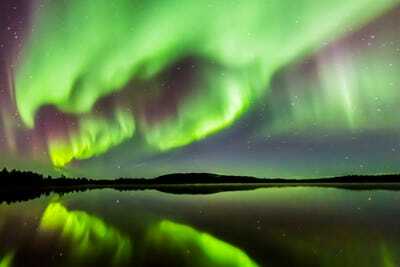 This far north, you can see the Aurora Borealis around 200 days a year. 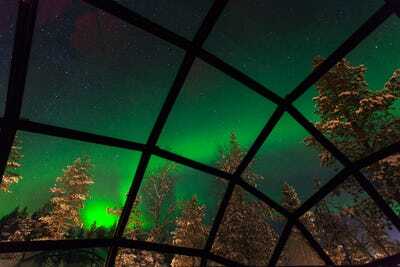 Glass igloos are available from August through April, which are the best time to see this natural light show. The two-person igloos include a toilet and the option of an extra bed. 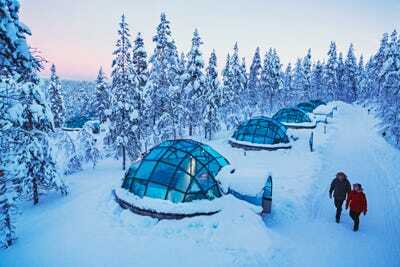 Four-person igloos feature their own toilet and shower. 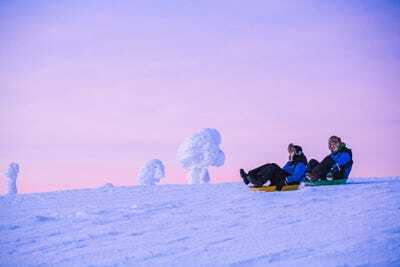 The resort also features world's largest smoke sauna, a snow restaurant and ice bar, and an ice sculpture gallery. 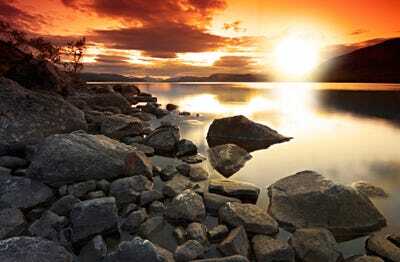 ...there's more to see in the area, like this stunning midnight sunset in the summer. 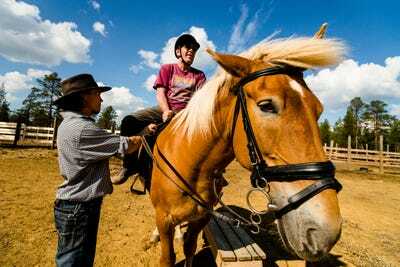 ...as well as horseback riding. 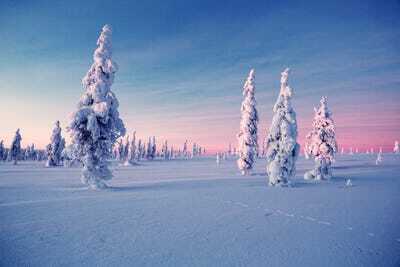 But the winter is just as beautiful. 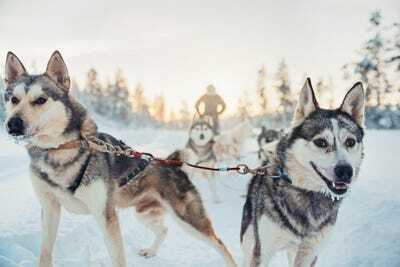 During the winter guests can go on husky safaris and reindeer safaris. They can also go sledding, skiing, and snowmobiling. There's also the option of visiting 'Santa's home,' which is apparently not in the North Pole. 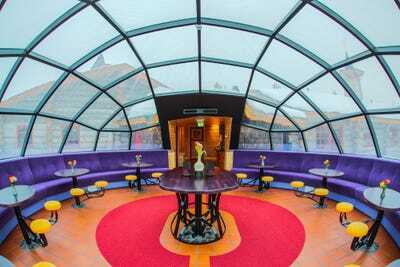 The resort features several restaurants too, including this igloo bar/restaurant. 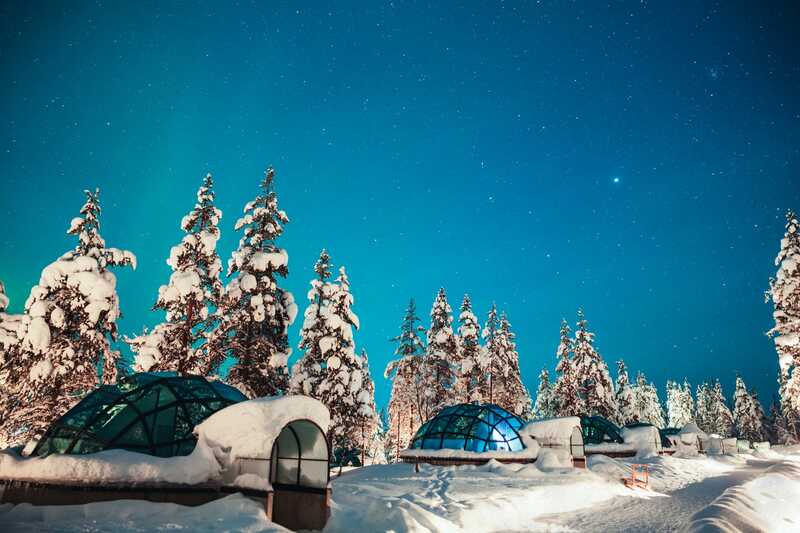 One night in an igloo for two starts at around $455.